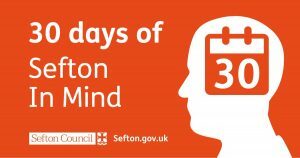 Sefton Council is inviting residents and groups to share their favourite places to promote positive mental wellbeing as part of its 30 Days of Sefton in Mind campaign. We want to know which parts of Sefton have a positive influence on your mental health. This could be activities at one of our leisure centres, your favourite part of the coast or a maybe a special place that puts your mind at ease. The aim is to create a positive mental health map of Sefton, showing the places where people go to feel better and in turn help reduce the social isolation that can often be a symptom of depression. To get involved and help create the map, tell us about your favourite place and tweet it along with a photograph to @SeftonCouncil using the hashtag #30DaysofSeftonInMind or alternatively email to communications@sefton.gov.uk. Whether its somewhere you go to exercise, your favourite place to spend time with your family or even a quiet place you like to go for some alone time, we want to know about the happiest places in Sefton. We also want local groups to promote what they do to help promote positive mental wellbeing. The campaign is led by Sefton Council and supported by Mersey Care NHS Foundation Trust, North West Boroughs Healthcare NHS Foundation Trust, NHS South Sefton Clinical Commissioning Group (CCG), NHS Southport and Formby CCG and Sefton Council for Voluntary Service.